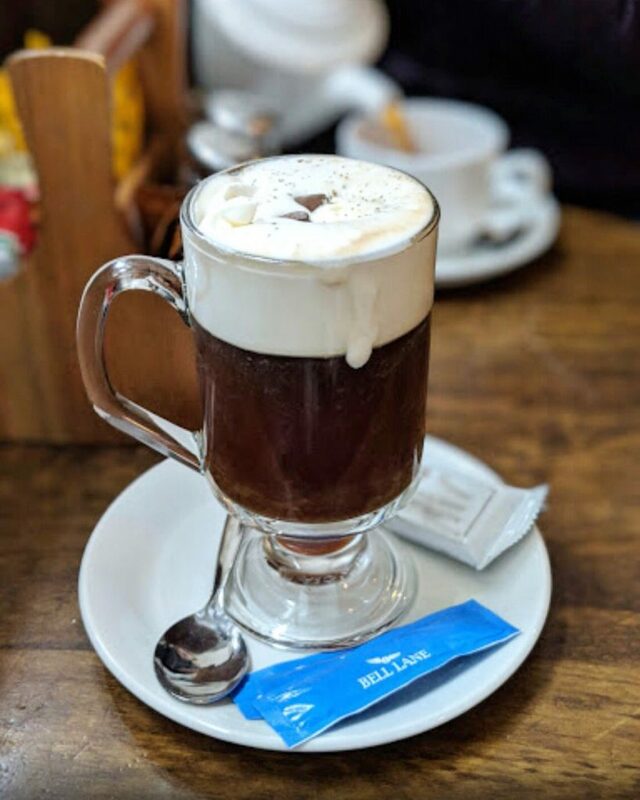 Since the 1940’s the Irish Coffee has been a staple of Irish pubs and bars here and abroad. It’s a winter warmer that keeps you toasty and perks you up (so long as you don’t go mad on them). A shot of whiskey, a spoon of sugar, some rich roast coffee, and a head of cold cream to sip it through. Perfection. 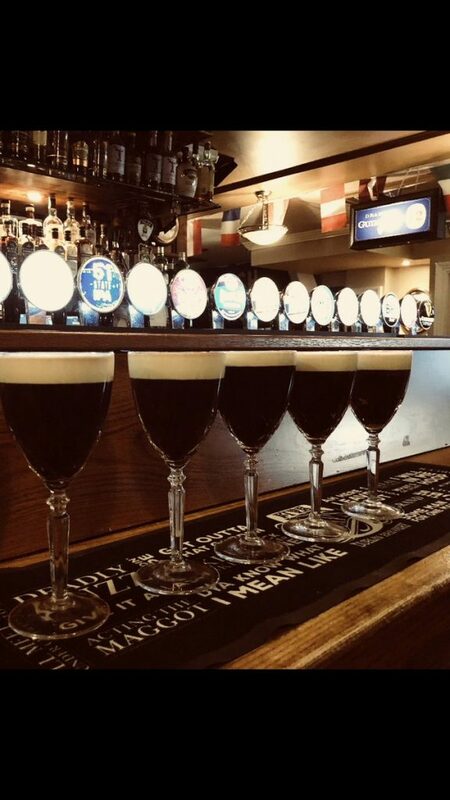 Here’s a few pubs in town that do the Irish Coffee very well. 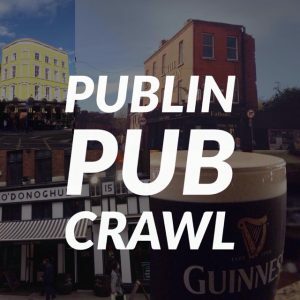 As always, if there’s any pub that you feel deserves inclusion on this list, please let us know and we’ll check it out. The Church on Mary Street is a place where they do food and drink very well indeed. 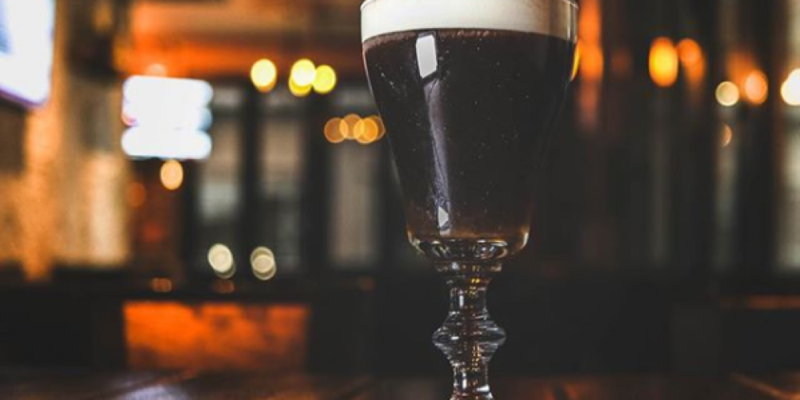 The selection of spirits, beers, and Irish dishes is one of the best in the city. The same goes for the quality of their Irish coffee. Enjoy it upstairs, surveying the grand spectacle of the structure all around you. 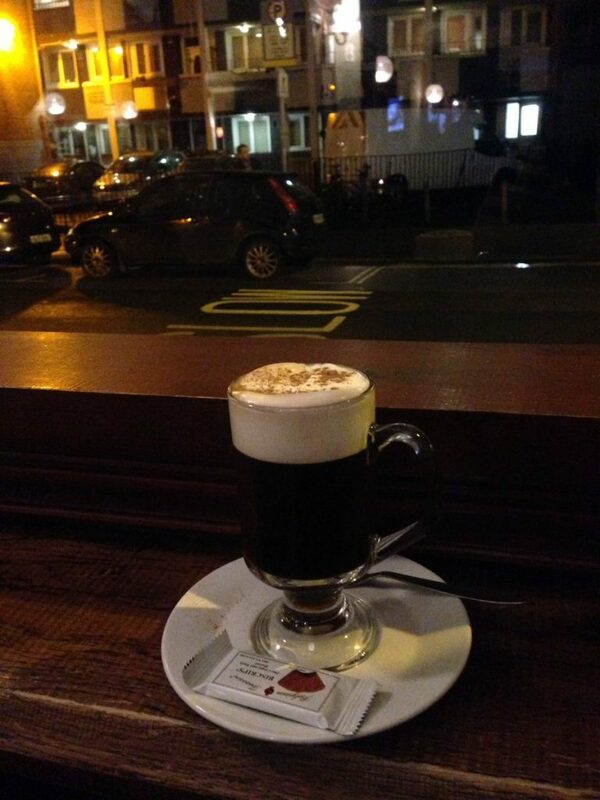 The Rag Trader on Drury street do 2 things very well, whiskey, and cosyness. 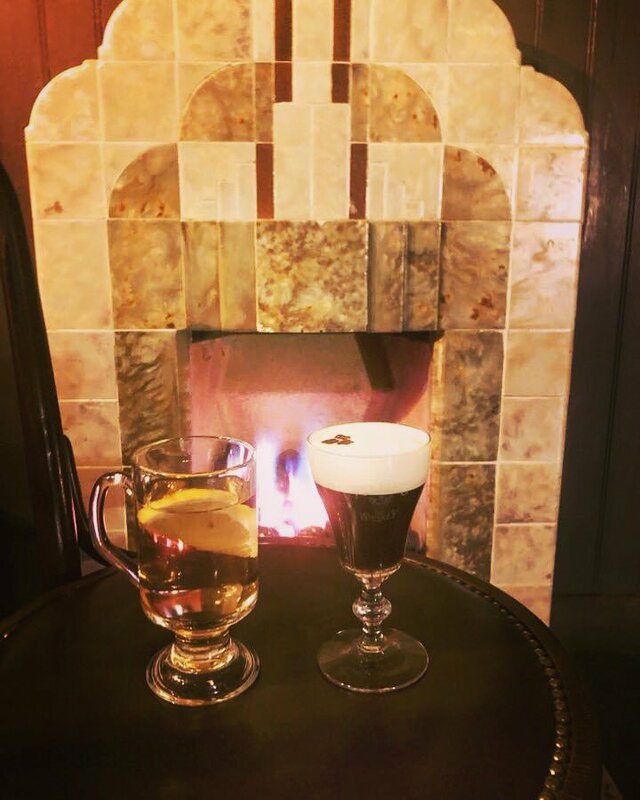 In the front room they have a fireplace straight out of a 1970’s Irish household where you can enjoy an Irish Coffee made with care. 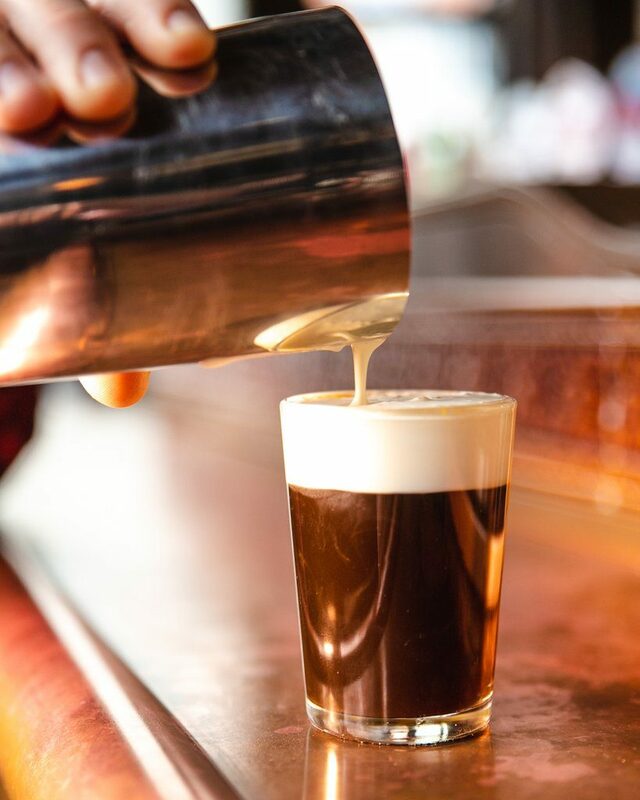 Grab a snug and order a round of Irish coffee’s from your private perch. The coffee machine is located in between both snugs, so if you hadn’t planned on having one before you came in, you’ll eventually be tempted by it soon enough. The Hairy Lemon is one of those pubs that does a good job at attracting both local Irish customers and visitors from abroad. 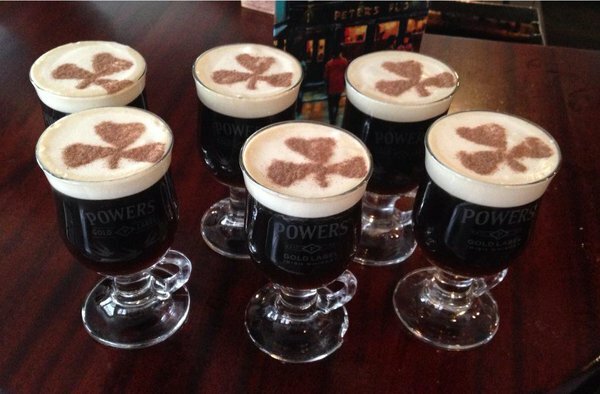 They manage this by offering some very traditional Irish favourites, one of these being the Irish coffee. Our preference on where to drink this old favourite would be in the snug area to the front, doing a bit of people watching (or watching the rain from a spot of comfort) or under the staircase where you feel cut off from the rest of the bar. 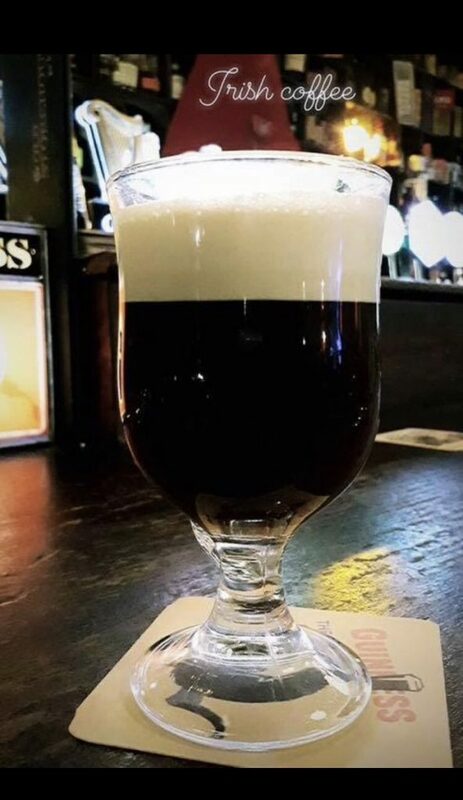 It’s a pub known for their fine pint of the black stuff, and there’s another dark drink with a white collar that they do very well. Grab a seat in the old snug area or with a table beside the fireplace. Peter’s is a very traditional pub of the old school way of doing things. It feels like a pub that hasn’t changed too much in a few decades, in a very pleasant kind of way. It’s definitely a place for a coffee in a relaxing environment. 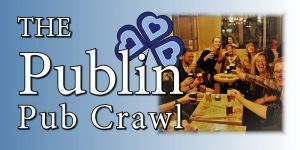 Where better to enjoy a luxurious taste of Ireland than in a luxurious taste of Ireland. 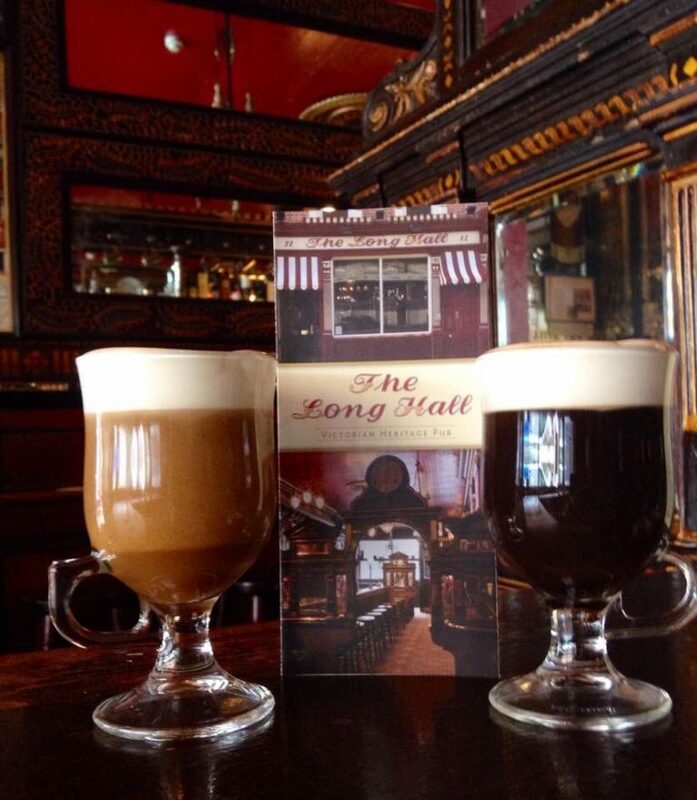 The Long Hall on George’s Street is one of the grandest examples of the Irish Victorian era pub and a superb spot for a drink of any kind. 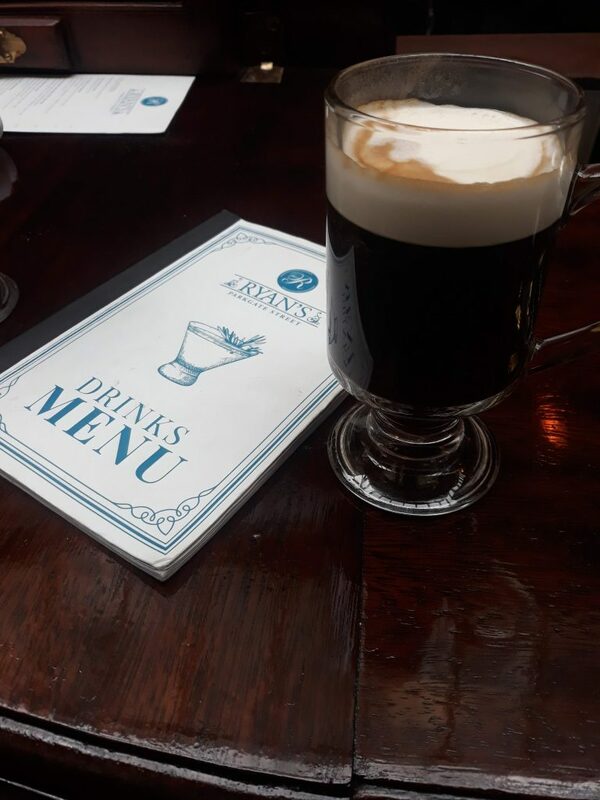 Kennedy’s on Westland Row are very proud of their Irish Coffee. Dotted around the pub are images of the signature glass beside the pub’s logo. It’s a spot synonymous with literary Ireland and who knows, perhaps Samuel Beckett tried an Irish Coffee here while studying next door in Trinity College. 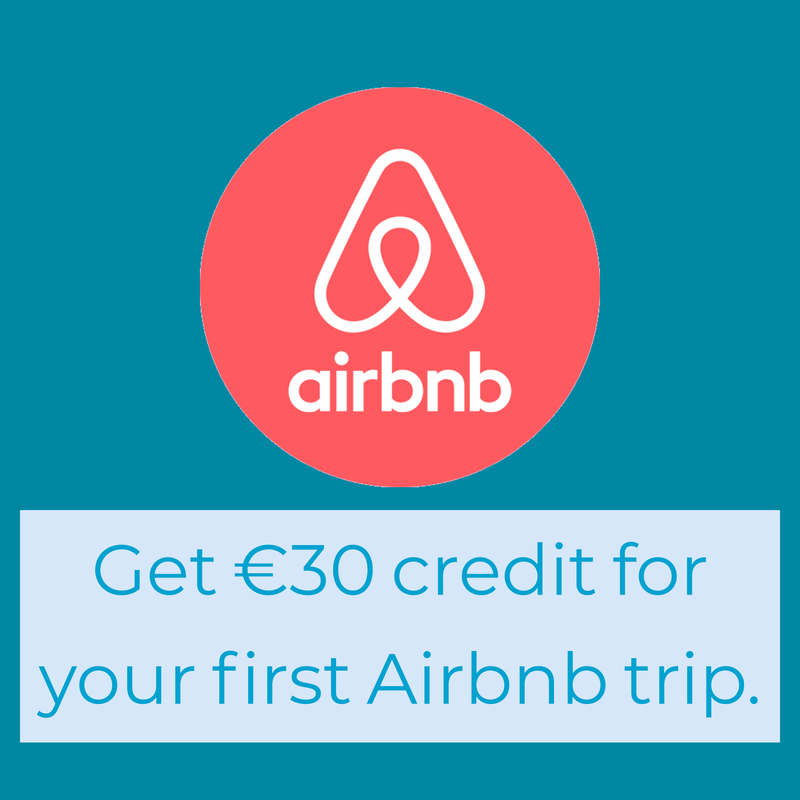 One of our favourite spots in Temple Bar, The Old Storehouse, does a very nice offering. It’s best enjoyed in their snug bar to get you full of beans before heading to the main bar for an excellent live music session. 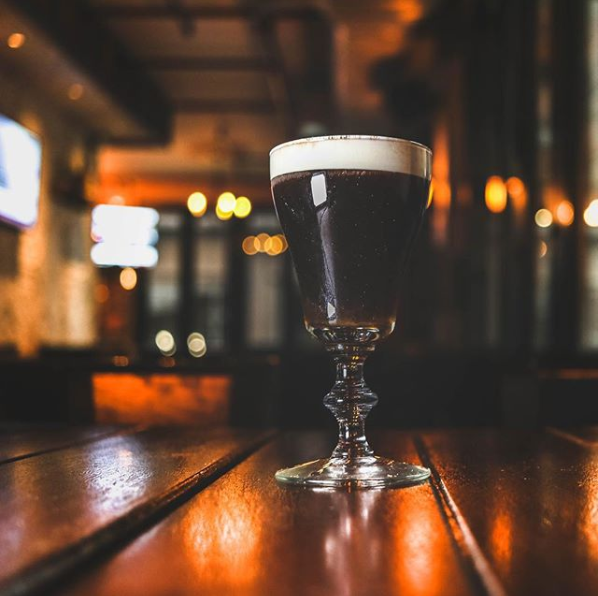 The Lucky Duck add a bit of their own flair to the house Irish Coffee by adding stout syrup to the mix. Darkey Kelly’s on Fishamble Street have been going from strength to strength lately, drawing in crowds with their live Irish music offerings and keeping them there with their high quality food and drinks. 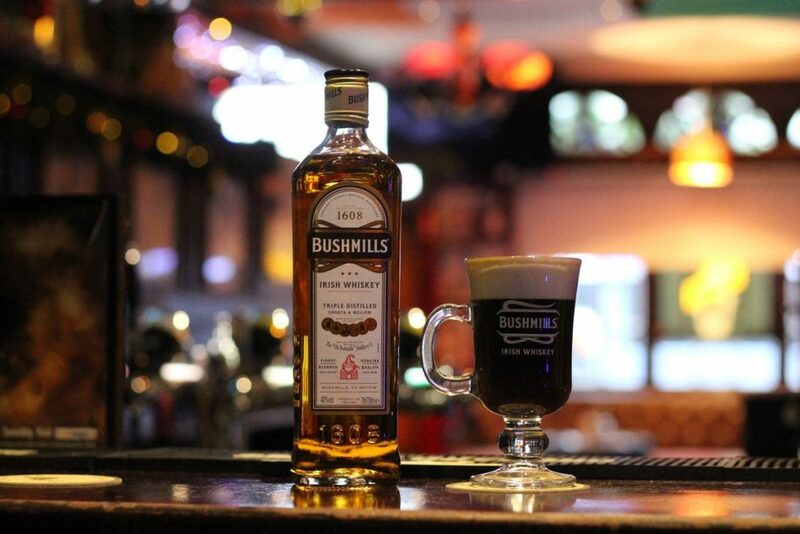 Try an Irish coffee with a music session and take it from there.